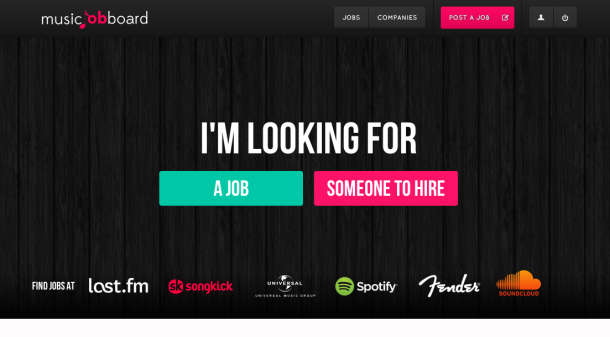 This afternoon we hit the big red launch button on an exciting new side project called MusicJobBoard.com – which as it says on the tin, is a job board for the music industry. “Another job board! ?” let me explain this one. There’s certainly no shortage of job boards, nor music specific job boards for that matter, but (IMO) that’s no reason to stop improving what already exists. My personal experiences with the existing job boards have not been the best, and having spoken to others about it, I’m certainly not the only one. So why has Venture Harbour built this? As an online marketing company that claims to be the bees knees for entertainment companies, I think it’s healthy for us to test those claims to make sure we’re walking the walk, and not just talking the talk. Job boards are exceptionally hard to market online. When you combine tens of thousands of user-generated pages, each expiring 30 or so days later, and all duplicated on tens of other job listing sites, you have nothing short of an SEO nightmare. There are also geographical phrasing challenges, due to different cultures searching for jobs in different ways. Long story short, if we can do this well then we’re ready for most things that our clients could throw at us. It’s a great challenge. Along with the challenge is the opportunity for us to refine our understanding of what does and doesn’t work. Having spent the past five years in digital marketing, few things have become clearer than the need to experiment. What Google (and many bloggers) say works, often isn’t the case – as i’ve proved before. In this particular project, i’m doing a lot of experimentation around Schema.org’s job listing markup and how this structured markup and meta data influences search rankings. The ranking changes i’ve noticed already (from *just* implementing) the markup has been very interesting. On top of this, it’s helpful. Recruiting in the music industry is tough – both for employees and job seekers. If you’ve ever posted a job listing in the music industry, it’s very likely that you ended up with tens of CVs that had clearly been shotgun posted to fifty other employers with no aspect of personalistion. We’ve taken a hard look at the limitations of what already exists and have tried to build something that’s better for everyone. If anyone has any early ideas, thoughts, or questions on the project, feel free to contact me. I’d be particularly keen to hear your previous experiences hiring or searching for work in the music industry and what you think could have made it easier or more enjoyable.